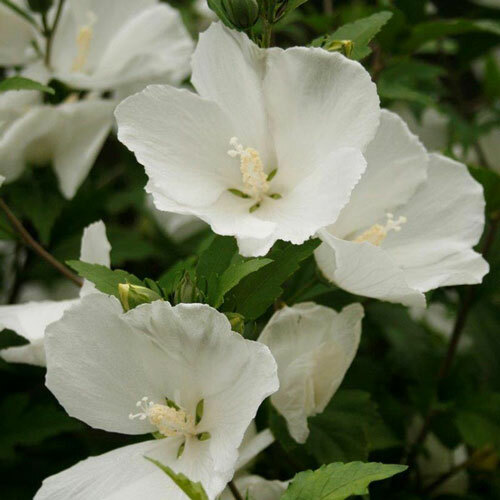 Thanks to its floriferous habit and vigorous nature, Hibiscus is one of the most popular flowering shrubs on the market. Available in a range of colors in both single- and double-flowered cultivars, they make fantastic additions to virtually any sunny spot in the landscape, providing welcome color and beauty to summertime landscapes. During the bloom period, these flamboyant shrubs are practically obscured with flowers, creating an absolutely stunning display. They make excellent hedges or privacy screens; smaller varieties are perfect for container plantings. Deciduous. Unique CharactersticsEasily grown in average, medium, well-drained soil in full sun to part shade. Better flowering in full sun. Prefers moist, organically rich soils, but tolerates poor soils and some drought. Very tolerant of summer heat and humidity. Large flowers may be obtained by pruning back hard to 2-3 buds in early spring. Otherwise, prune to shape. 'Diana' is a sterile triploid that produces very few if any seed pods. Triangular, lobed, leathery, dark green leaves (to 3.5" long). 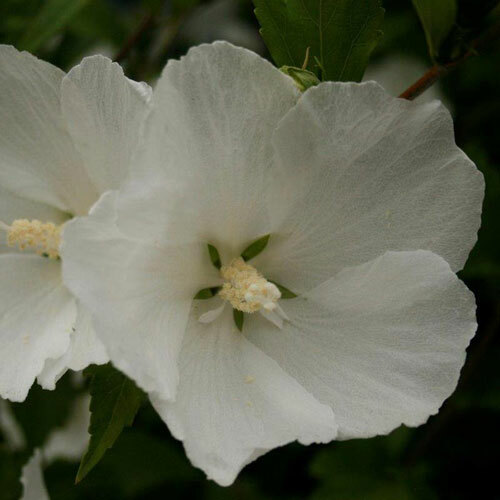 Excellent flowering shrub that may be massed, planted in groups or used as a specimen. Good for shrub border. Also can be effective as a hedge or screen.